SEMrush Position Tracking Tool is More Intelligent! Inspired by your warm feedback, we continue to work hard to improve our Position Tracking Tool by adding new functionality. So now, we get to show you what we have been working on! First of all, we want to let you know that all plans can now export the Position Tracking Report in formats (excel, scv, csv). This is available for users on both paid and free accounts. By the popular demand of our users, we are now sending a weekly Tracking Changes Report for all campaigns. Users of the Position Tracking feature will receive a weekly email Report that includes statistics of any campaigns that have already been started. This option is automatically enabled, but it can also be disabled for each separate campaign. 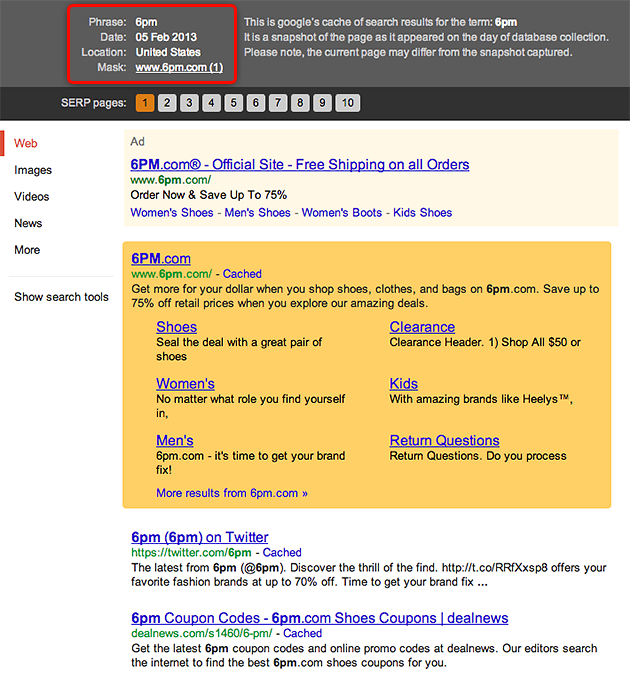 We have also improved the display of SERP snapshots, which is only available for paid accounts. 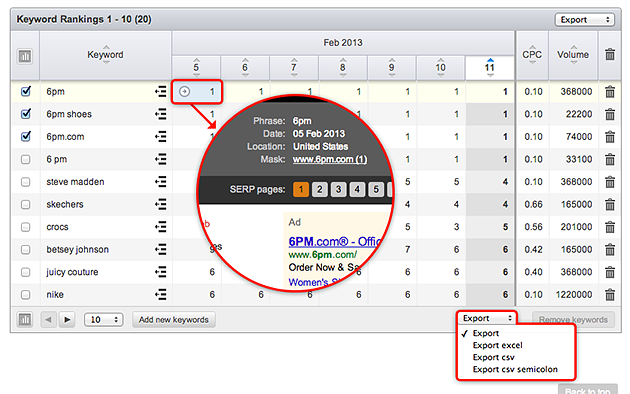 You can estimate the convenience of this feature by simply clicking on the keyword that you are interested in. This will bring you to the SERP snapshot, where automatic scrolling and highlighting will show you an image of reliable information. There is even more information about the keyword in the left corner of the footer where you can view exact data and geographic location. Links to source of the 10 pages are also available from the SERP source report. To upgrade now, click here. Filtering for Phrase match and Related keywords added!